These words of Archbishop Desmond Tutu resonate with Jill Wright. 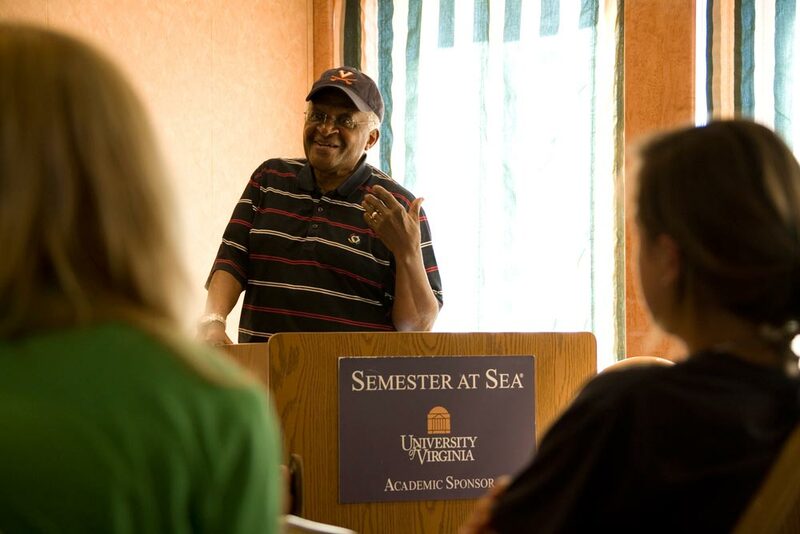 Tutu, a Nobel Peace Prize laureate, used that metaphor while aboard the MV Explorer last spring to illustrate the role of Semester at Sea, and it summarizes much of what Wright values about the program. The institute oversees Semester at Sea, which since June 2006 has called the University its academic home. UVA professors are serving as academic deans as well as teaching faculty. Wright recently took time to talk about the program. UVA’s new role was expected to raise the bar, academically. How is that happening? First of all, we have so many more University of Virginia faculty actually sailing, and they make major contributions. Beyond that, the University has appointed an academic advisory committee that consists of some of the folks who have already sailed plus others who have been involved with reviewing syllabi and making further improvements in the academic program. We’re also taking a close look at the global studies course—the core course that everybody takes while on board—and integrating the field component perhaps even more closely to the academic program. There is a movement to offer more science classes. And we have revitalized the engineering program. How have UVA faculty responded? There’s a pretty big waiting list now, and the top people are those who have already sailed and want to go again. The summer of 2007 was the first voyage where we had the eight UVA faculty, and two of those have already requested to be academic dean on a future voyage. How does Semester at Sea compare with other study-abroad programs? It’s hard to compare to other study-abroad programs. It depends on where students are going. Living costs are less in some areas of the world than others. Most students would compare [the cost] not to other study-abroad programs but to a semester at their regular school. The cost is [relatively] low if you’re at a private institution; for a state school, it’s more; compared with other study-abroad programs, I would say it’s probably in the middle. The value is the comparative hands-on experiential approach that I think makes it unique, plus the shipboard community—that’s as much a part of it as are the port experiences. 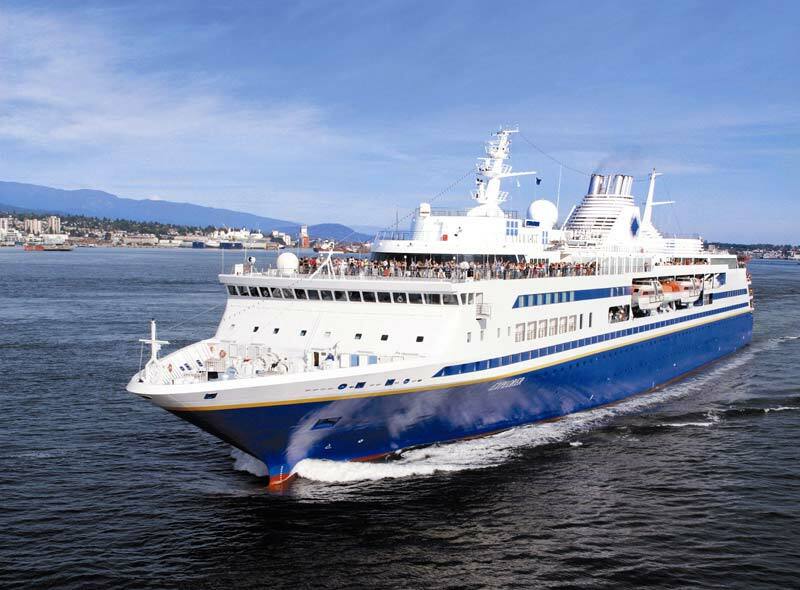 Cargo: 700 students, 28 faculty on fall and spring voyages (fewer on summer trips). Sponsor: UVA, the academic sponsor, provides an academic dean, who coordinates courses, and three to eight faculty, plus a librarian, per trip. Recent curricula have centered on specific academic themes, such as Latin American studies. Cost: About $20,000 a semester (two-thirds that for summer). Some financial assistance is available (the program now provides $2.1 million in scholarships and other aid each year).